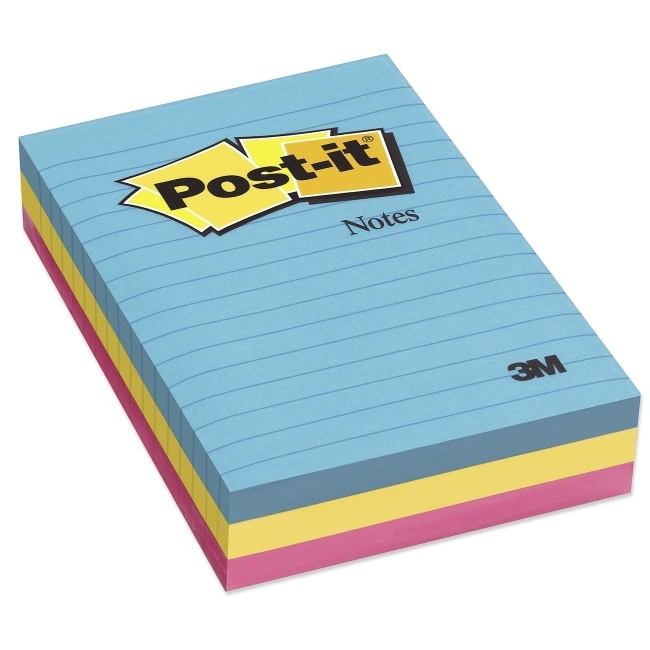 Post-it Ultra Colors Notes Ultra Assorted 3 / Pack 4" Width x 6"
Post-it Notes are the perfect size for notes, numbers and lists. Repositionable adhesive won't mark paper and other surfaces. Attach notes without staples, paper clips or tape. Use the self-adhesive top strip to stick them on papers, desks and other places where you need a reminder. Notes are lined so you can make neater notes. Paper used comes from well-managed forests where trees are replanted.